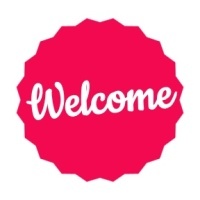 First and foremost, we promise to treat you the way we would want to be treated! We believe in treating others with respect, integrity and honesty! We are excited about the many new developments in the field of Chiropractic. We know that the body was designed to heal itself, so we use the most up-to-date natural techniques to get you well and keep you there! We pride ourselves on giving you up front cost information so you can make an informed decision on your healthcare. We will be happy to verify your health insurance when you come in for your appointment. Dr. Landers will work hard to get you back on the road to health! Maria is our office manager and insurance/billing coordinator. Janet will greet you with a smile at the front desk! Michael is a pro at making sure the office runs smoothly! Before coming to Landers Family Chiropractic I had severe back and shoulder pain that I had suffered with for approximately 3 months. I chose to try chiropractic before trying something else for my pain. I have been treated so well by the staff. They are very personal and friendly. There is really nothing that I haven’t liked about my care at Landers Family Chiropractic. Now, my shoulders are feeling much better! I would recommend Dr. Landers and his staff to anyone. I came to Dr. Landers because of a recommendation from a friend since I had never really thought Chiropractic could help significantly. My major problem I needed help with was my neck. I have had problems with my neck for more years than I can even remember. I had MRIs which revealed spurs and on and on… My doctor said “Your neck is a real mess.” I had done physical therapy, light traction, massage, and took Aleve when it was unbearable. Dr. Landers showed me on my x-rays that my neck really was a mess and outlined a plan that he thought would help. My neck is so very much better that I no longer have to take Aleve and as a bonus that I didn’t even expect, my back is better, I no longer walk slew-footed, the neuropathy in my feet and legs is gone and my posture is improving daily. I like that Dr. Landers has a tool and does not have to manually manipulate my body… I have always been afraid of someone moving my neck but I look forward to his adjustments. I like that we do follow up x-rays and a progress report. I very much appreciate that I am seen promptly at my appointment time. The offices are very clean and comfortable and the staff are friends instead of staff. I especially like that Dr. Landers is very attentive when I tell him what is going on with my body. His sincere desire to make me better shines through and I appreciate that he keeps himself updated on all the newest studies that constantly come out. Of course I recommend Dr. Landers!!! My husband has become a patient and is also experiencing good results. Before I began care at Landers Family Chiropractic, I had been suffering with pain in my right arm for two months to the point to where I couldn’t use it. I had seen other health care providers but had no success in finding relief. I was treated very well by the staff of Landers Family Chiropractic. I liked most the friendliness and thoroughness of Dr. Landers and his exam. I’ve only had positive experiences with Landers Family Chiropractic and since seeking care, my arm pain has been much less! I would tell anyone that they would benefit from the adjustments. I hereby give my permission to publish my success story in whole or to summarize its contents in any of the publications of Landers Family Chiropractic. I had suffered for a couple of months with my lower back pain when I started seeing Dr. Landers. I had tried medication, but it did not make the problem go away. Now, I am feeling much better! I staff at Landers Family Chiropractic have treated me very well! I have recommended Dr. Landers many times already. I love that he talks to you thoroughly about your condition and then uses that information to care for you. Too bad he doesn’t make house calls! I began seeing Dr. Landers for lumbar and thoracic back pain. I had suffered off and on for years with my pain. I had tried exercise and Tai-Chi to help relieve my pain (I really wanted to avoid medication because I believe it only makes you not care about the pain). When coming to Landers Family Chiropractic, I was treated like family. I like that they tailored their care to my needs and have helped relieve my back pain. I just wish they were closer to home! I would absolutely recommend Landers Family Chiropractic! I had been suffering with back pain for 3 months before coming to Landers Family Chiropractic. The staff at Landers Family Chiropractic is friendly and professional. They treat me great! I continue to have excellent results with my care at Landers Family Chiropractic, and I recommend Dr. Landers to everyone. I had been having lower back and neck pain for over 10 years. I had seen other doctors and taken over the counter medication with no results. I was treated like family by the staff at Landers Family Chiropractic and I liked that Dr. Landers explains everything. I also like that I was not twisted and turned like I have been at other chiropractic. My pain has decreased to the point where I very rarely experience it. Due to the success I have experienced, my mother is now also a patient of Landers Family Chiropractic. I would highly recommend Dr. Landers to anyone. I had been suffering from severe back pain for several months when I started coming to Landers Family Chiropractic. I had taken muscle relaxers and had physical therapy with little success. The Landers Family Chiropractic staff is AMAZING and each patient is treated on a personal level. The staff is very friendly which makes me enjoy walking into the office. My pain is gone and I highly recommend Landers Family Chiropractic. Dr. Landers has done wonders for my back! When I first began care at Landers Family Chiropractic, I had extreme low back pain. Through the examination Dr. Landers also found that I had a severe tilt to the right. I had been in tremendous pain for three days prior to seeing Dr. Landers but I had also been suffering with this pain off and on for a couple of years. The only thing I had tried before were heat patches and some over the counter pain killers. I began my care one Saturday morning and within a short amount of time my pain went away. I have continued to have excellent results from my adjustments. I highly recommend this facility because they treated me in a very caring manner and explained everything to me. I started seeing Dr. Landers because I have lower back pain. When my back would go out, I would be in the bed for a week or more. It had gotten to the point where medication was no longer helping. I had suffered with my back pain for years with the most recent episode lasting about two weeks before I came to Landers Family Chiropractic. I have seen many doctors and have been on muscle relaxers, had epidural blocks and tried physical therapy. I am no longer on muscle relaxers and I can stand for longer periods of time which is necessary at work. The staff is great; they treat me wonderfully. I never feel rushed through my appointments and I always understand my treatment plan. They are very helpful. I’ve already started to recommend several people to Landers Family Chiropractic. I would recommend them to ALL my family and friends. I have nothing but great things to say!!! DescriptionI have suffered for 41 years before seeing Dr. Landers. I had pain in my left hip radiating down my left leg. It was difficult for me to walk especially when rising or after sitting for long periods of time. I had seen my family doctor and a neurologist. I have had multiple CT scans and MRI’s. I was diagnosed with fibromyalgia but was unable to take prescribed medication due to side effects. I now have no pain and I am able to walk without pain. Landers Family Chiropractic is a great place for treatment. I like the one on one attention I receive. Dr. Landers and the staff are kind and friendly and efficient. I started coming to Landers Family Chiropractic due to hip and rib pain. I had suffered for many years with this pain. I like the extensive pre work up Dr. Landers does and the caring attitude everyone shows. I have been treated excellent by the staff and have had very good results with my adjustments. I highly recommend Dr. Landers and his staff to everyone. When I began seeing Dr. Landers, I had soreness in my back, hips and I was also misaligned. I had been suffering for more than six months before I saw the doctor. I had tried using muscle relaxers and cold compresses, but I still had the soreness. I loved that Dr. Landers explained everything before any treatment was given. He and his staff treated me very cordially. My back is much better now and I would gladly recommend Dr. Landers! I began going to Landers Family Chiropractic for hip and lower back pain that I had been suffering from for over a year. I had tried one other doctor and two different pain pills before seeing Dr. Landers. I enjoy how I feel good after my adjustments and have had very good results. I highly recommend this facility. I had been having pain in my feet, leg and back before coming to Landers Family Chiropractic. I had been suffering for over 6 years. I have had great improvement and a significant decrease in pain since I started coming to Landers Family Chiropractic. Dr. Landers and his staff are very professional and extremely helpful. I think they are great. 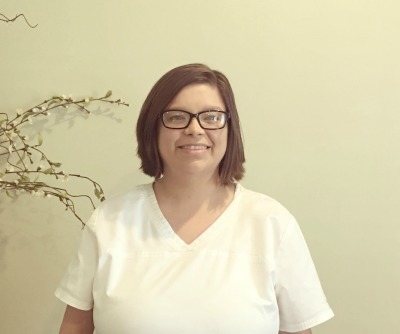 Before I began care at Landers Family Chiropractic, I had been suffering with soreness in my back and numbness in my leg since I was a child. I had tried several things to relieve the soreness: muscle relaxers, cold compresses, heating pads and traction. I took Advil constantly! I was treated very well by the staff of Landers Family Chiropractic. I liked most the friendliness and thoroughness of Dr. Landers and his exam. I’ve only had positive experiences with Landers Family Chiropractic and since seeking care, my back soreness has been much less! I would tell anyone that they would benefit from the adjustments. When I first started seeing Dr. Landers, I had constant sinus headaches, neck and shoulder pain and severe back pain. It was especially bad when I rode in the car for long distances or even doing general house work. I had been suffering for about the last 5 to 6 years! I had already had back surgery and was taking pain medication for my conditions. Since beginning care at Landers Family Chiropractic, I have almost no headaches now! My back is much better and so are my neck and shoulder pain levels. I enjoy the staff, they have a friendly caring family atmosphere. Everyone has exhibited a caring and Godly character in all areas. I believe we all have some need for chiropractic care if only we knew it! Landers Family Chiropractic would definitely be my recommendation without any reservations! I suffered for about six months with back pain, neck pain and dizziness I also experienced pressure in my head. I made a visit to the emergency room where they only gave me medication for the pain. After coming to Landers Family Chiropractic my headaches, back pain and stiffness are gone. My results are amazing. Dr. Landers and the staff at Landers Family Chiropractic are very informative and friendly. They listened to what I had to say. I would strongly recommend Dr. Landers to everyone and they are very thorough. I had been suffering with pain in my shoulders, feet, right knee, and neuropaty for 5-6 years that kept me from doing a lot of things such as my gardening. I had been to my family doctor and a foot specialist with the results of taking a medication for 5 years that had many side effects with no relief. I like that I am not taking drugs and the care I receive is helping my pain so that I can work. I am more pain free than I have been in years. 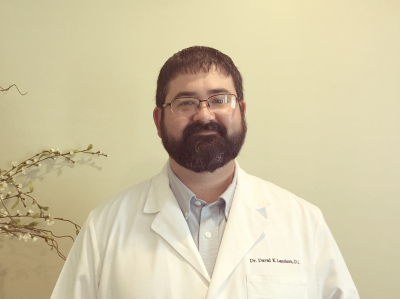 The staff at Landers Family Chiropractic treats me wonderful and I can easily recommend anyone to Dr. Landers because he is sincerely concerned about his patient’s health. I started coming to Landers Family Chiropractic because of headaches, backaches and leg pain that I had suffered with for many years. I had seen other chiropractors but never maintained my adjustments until I seen Dr. Landers. The staff is wonderful and they treat me like I matter. My headaches are pretty much gone. And for the first time since I was 7 years old I know I will wake up without a headache. Coming to Landers Family Chiropractic changed my life!!! I began care at Landers Family Chiropractic because I have had lower back pain for about a year and neck pain for several years. I had tried muscle relaxers, pain pills and anti-inflammatory and they only gave me temporary relief. After receiving care at Landers Family Chiropractic, the results have been fantastic! My neck pain is virtually non-existent. My back pain is probably 90% better and I rarely have to take my medication for pain. The family atmosphere and genuine care for my health needs are what I like best about my care. The staff is always friendly and treats you like family. I would highly recommend Doctor Landers and the staff. He can and will help you and really cares about you and your family’s health. 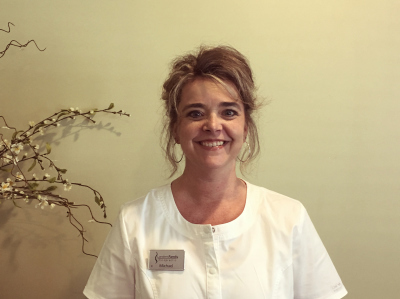 I began care at Landers Family Chiropractic because I had been suffering for 9 months with right breast and underarm pain, headaches, ringing in the ear and some TMJ pain. I had tried muscle relaxers and had several tests done with no conclusive results. I was treated as if I were family and with excellent care. Everything was well explained to me and my questions were taken seriously. Dr. Landers took extra time and care to answer all of my questions. One thing I particularly liked about my care was the payment plan. It worked great for me! 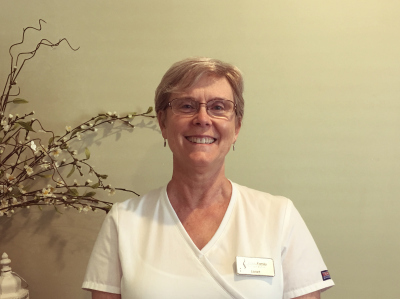 Since I began care at Landers Family Chiropractic, I’ve had no TMJ activity, no burning in my chest and much less tension in my back between my shoulders. The best result has been the significant decrease in headaches. If someone asked me about Landers Family Chiropractic, I would only have the best of comments about Dr. Landers and his staff.